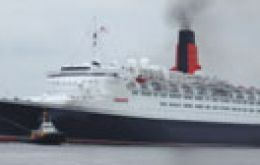 Three cruise vessels including Queen Mary 2 called Friday in the Chilean port of Valparaíso with thousands of tourists, following a similar situation the previous Wednesday with the Discovery. 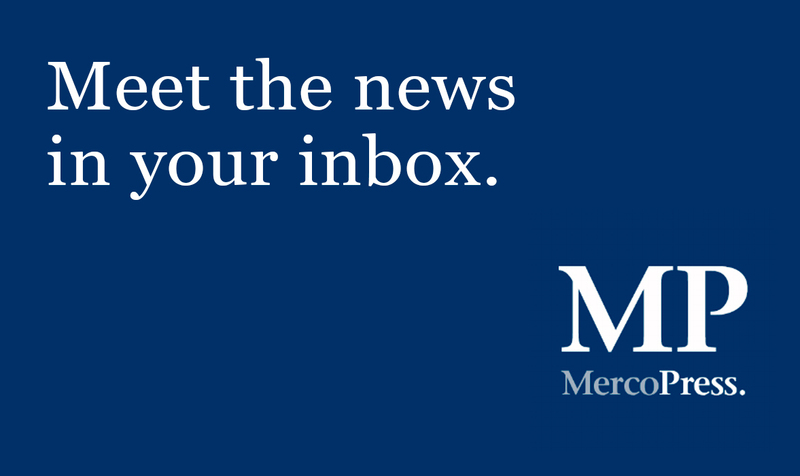 A Norovirus outbreak was reported to have affected more than 300 passengers and crew members aboard the world-famous Queen Elizabeth 2 (QE2) before the ocean liner docked in San Francisco Wednesday for a regularly scheduled stop, according to news reports. 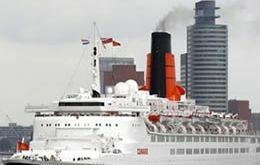 Queen Mary 2, one of the world's largest passenger ships and currently on its first ever world cruise, an 81 day circumnavigation of the globe, called in Montevideo last Saturday for fifteen hours. Nearly 16,000 tourists will flood the port city of Valparaiso over the next two weeks, with over half of the visitors arriving in a single day on four separate cruise ships. The huge ships are set to dock next Friday 26th, along with six smaller vessels throughout the week, bringing an unprecedented influx of visitors to the city of 280,000. 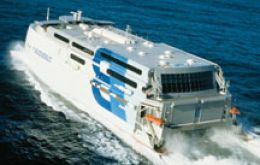 Hundreds of passengers waiting to travel on the ferry shuttle between Buenos Aires and Montevideo suffered this week unexpected delays because of lack of vessels and stricter migration regulations for minors, admitted Buquebus, the company which has a virtual monopoly of the River Plate crossings. The only direct flights are chartered by the RAF, and visitors to the beach are asked to keep an eye out for the landmines from the war, 25 years ago. But the Falkland Islands, with their clear skies, 500,000 pairs of penguins and an appealing sense of emptiness, have announced they are launching themselves on the world travel market. 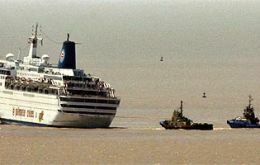 A cruise vessel with 1.612 passengers, mostly from Brazil, finally managed Thursday early afternoon to pull off from a River Plate sand bank where she was grounded for over twenty hours. 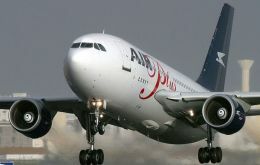 Spanish airline Air Comet Plus will operate in seven Latin American countries previously covered by the now closed down Air Madrid airline. The operation was allowed after Spanish Public Works Minister Magdalena Alvarez and Air Comet president Gerardo Díaz signed an agreement. 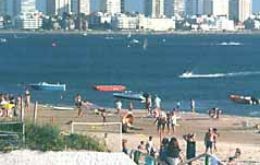 Uruguay's Deputy Tourism Minister Lilian Kechiciahn revealed that in the first fortnight of 2007 the number of Argentine tourists traveling to Uruguay dropped 20% compared to a year ago, mainly because of the ongoing controversy over the construction of the Finnish Botnia-Orion pulp mill. 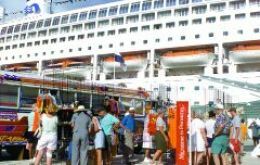 The number of tourists coming to Chile as passengers on cruise ships is expected to grow by five percent in 2007, according to Destination Management Chile, which handles 70 percent of all tours and sightseeing trips involving cruise passengers.